Nothing will bring your old trailer or RV back to life again like fresh aluminum siding. 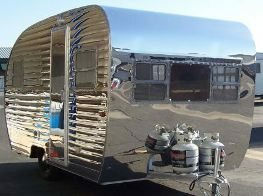 With the RV & Trailer High Polish Aluminum Siding from Hemet Valley RV, you can make your RV or trailer look new. Hemet Valley RV can provide you with the high gloss finish you want for a great price. The siding will also protect your RV or trailer for years to come and help make it last longer. Give us a call to find out how to order the siding.